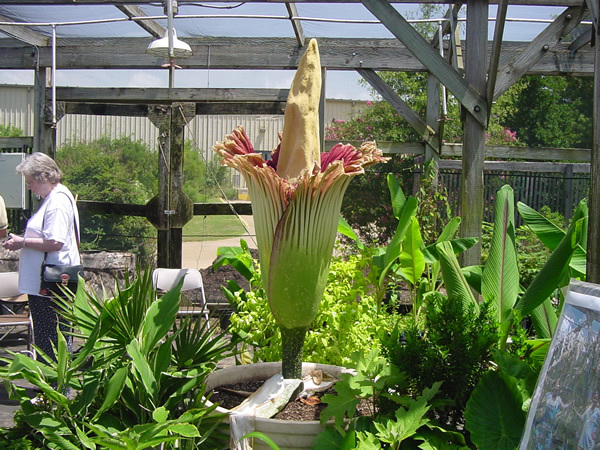 Question:What is the largest flower to ever bloom in Texas? 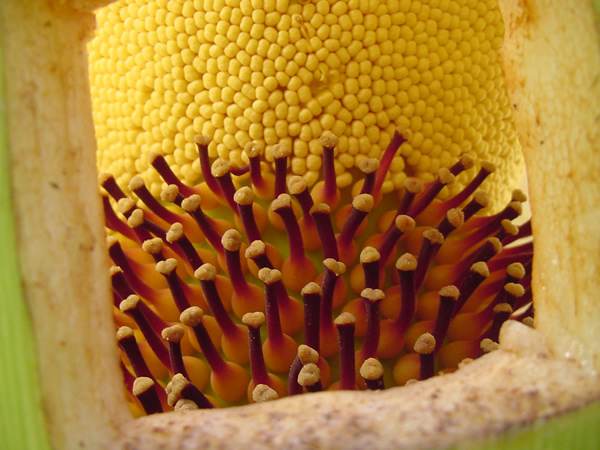 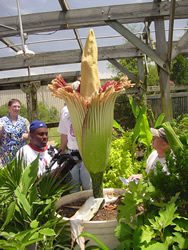 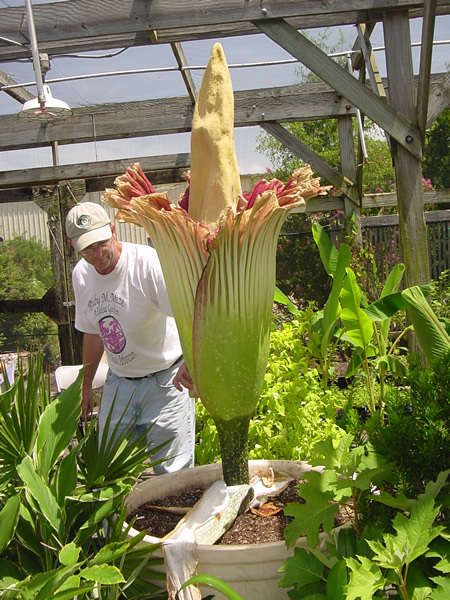 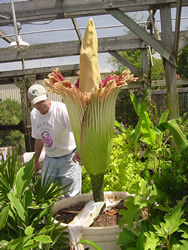 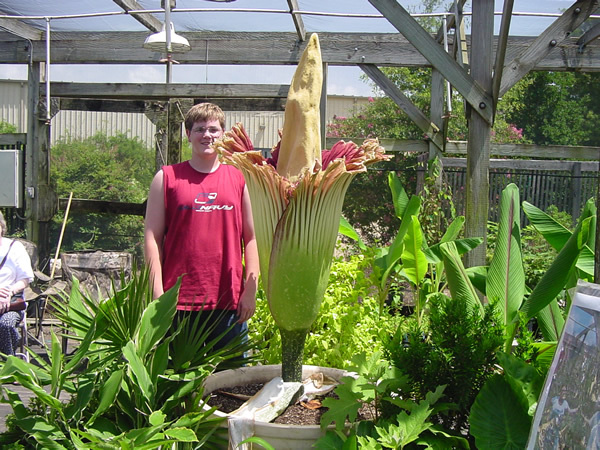 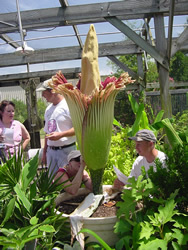 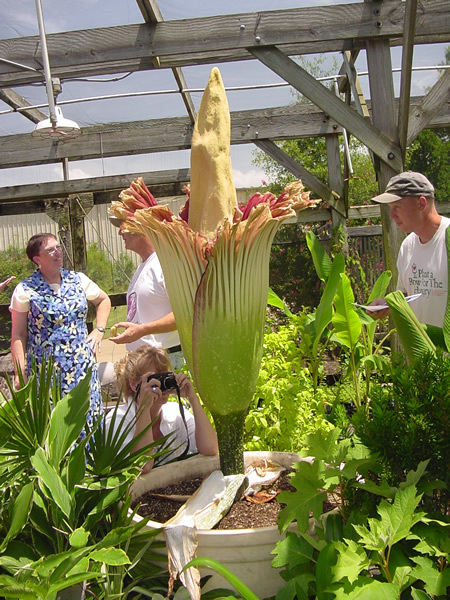 Answer: The largest flower to ever bloom in Texas was Big Jack which is Amorphophallus titanum * the infamous Titan Arum or Giant Corpse Flower and it is found exclusively in the equatorial rainforests of Sumatra, Indonesia. 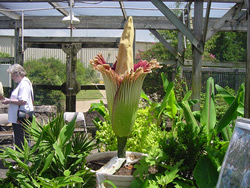 The plant is said to grow in openings in the rainforest on limestone hills. The plant was discovered by Italian botanist Odoardo Beccari in 1878. 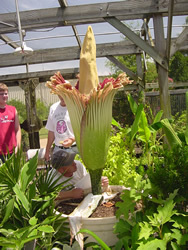 The plant is endangered in the wild and very few exist in cultivation.